Neolithic houses at the Gadachrili Gora. Credit: Stephen Batiuk. Historians have always considered Georgia as the cradle of winemaking, while their southern Mesopotamian neighbors were adept at crafting beer. 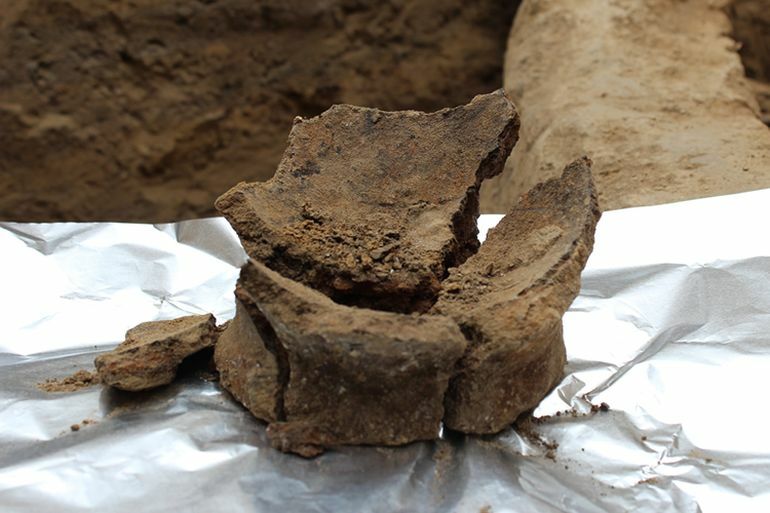 And now archaeology bolsters this theory, with an excavation project conducted inside the Republic of Georgia revealing the evidence of the world’s earliest known winemaking. 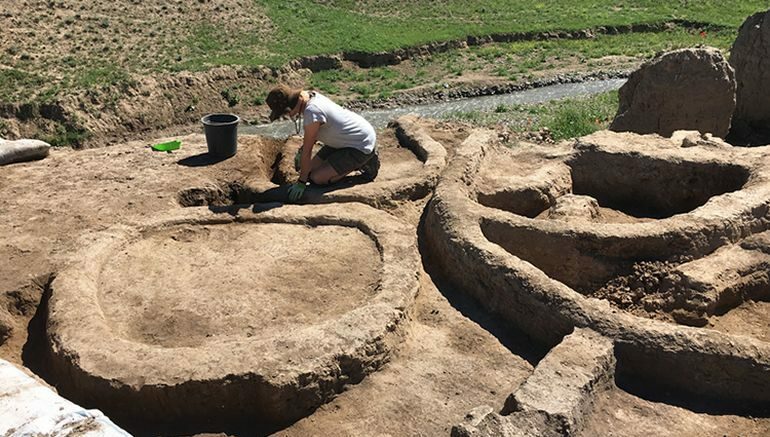 A collaborative effort, aptly known as Gadachrili Gora Regional Archaeological Project Expedition (GRAPE), from the University of Toronto and the Georgian National Museum, unraveled how the process harked back to the Neolithic period, circa 6000 BC. Now it should be noted that the previously oldest known chemical evidence for winemaking came from a particular site atop the Zagros Mountains of Iran, and its dating revealed a period from circa 5400-5000 BC. 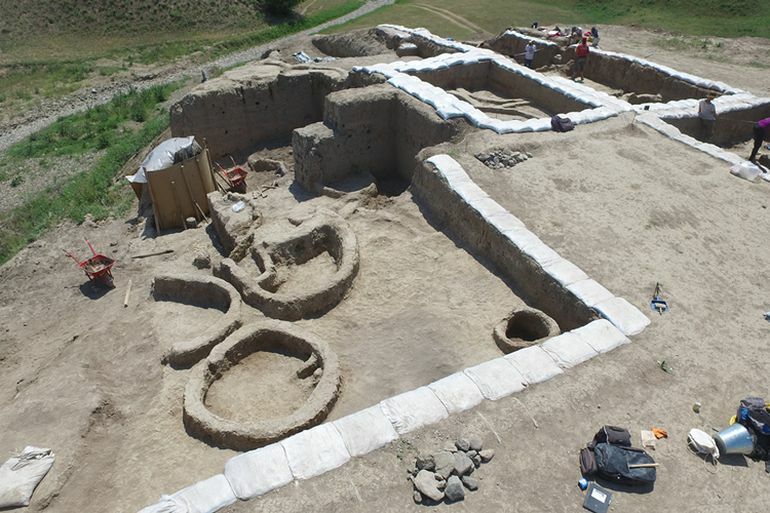 Simply put, the new discovery sets back the origins of winemaking by at least 600 years, with the excavation project focusing on two Early Ceramic Neolithic sites (6000-4500 BC) called Gadachrili Gora and Shulaveris Gora, both of which are just around 32 miles from the capital city of Tbilisi. We believe this is the oldest example of the domestication of a wild-growing Eurasian grapevine solely for the production of wine. The domesticated version of the fruit has more than 10,000 varieties of table and wine grapes worldwide. Georgia is home to over 500 varieties of wine alone, suggesting that grapes have been domesticated and cross-breeding in the region for a very long time. Pottery, which was ideal for processing, serving and storing fermented beverages, was invented in this period together with many advances in art, technology, and cuisine. 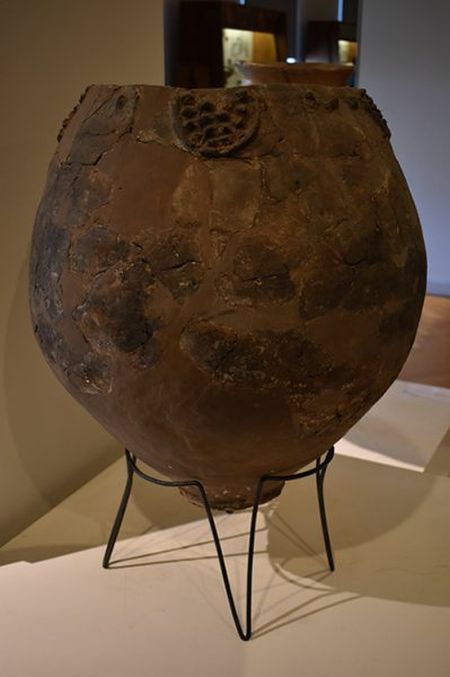 This methodology for identifying wine residues in pottery was initially developed and first tested on a vessel from the site of Godin Tepe in central western Iran, excavated more than 40 years ago by a team from the Royal Ontario Museum led by fellow U of T researcher T. Cuyler Young. So in many ways, this discovery brings my co-director Andrew Graham and I full circle back to the work of our professor Cuyler, who also provided some of the fundamental theories of the origins of agriculture in the Near East. 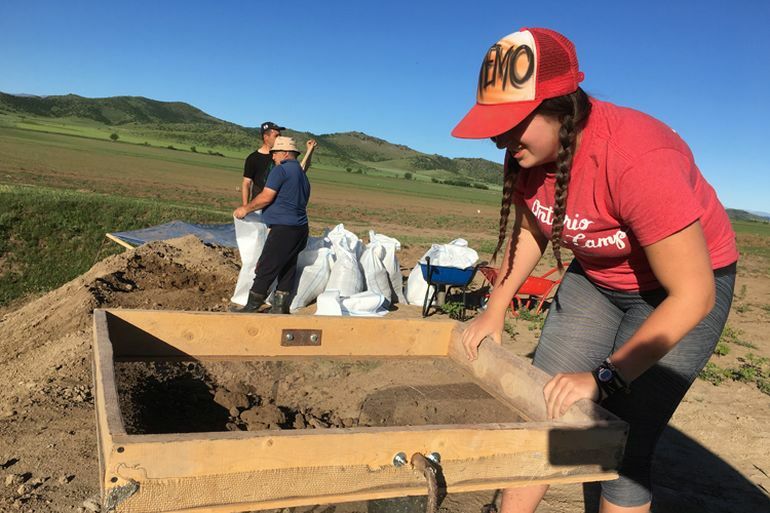 In essence, what we are examining is how the Neolithic package of agricultural activity, tool-making, and crafts that developed further south in modern Iraq, Syria and Turkey adapted as it was introduced into different regions with different climate and plant life. The horticultural potential of the south Caucasus was bound to lead to the domestication of many new and different species, and innovative ‘secondary’ products were bound to emerge. The infinite range of flavors and aromas of today’s 8,000-10,000 grape varieties are the end result of the domesticated Eurasian grapevine being transplanted and crossed with wild grapevines elsewhere over and over again. The Eurasian grapevine that now accounts for 99.9 percent of wine made in the world today, has its roots in Caucasia. And finally, we must also understand the social aspect of wine, which does explain its seemingly sudden popularity in human history. To that end, wine as a ‘social lubricant’ was utilized in various ceremonies, festivities and even ritual purposes, ranging from feasts, gatherings, cuisines to even prescribed medicines. For example, the Celtic nobles and warlords (during circa 5th – 2nd century BC) perceived wine as a luxury commodity that was imported from the southern Greco-Roman lands, in return for slaves. This acquired wine, in turn, was distributed among his retainers that would actually reinforce his standing within the tribe structure. The study was originally published in the journal Proceedings of the National Academy of Sciences.